Perfectly safe and natural, this product will keep your feet warm for up to 9 hours without worrying about batteries and wires. Simply activated by coming into contact with air, HotHands insole foot warmers will heat up your feet immediately. Package includes 16 pairs of disposable heated insoles. HotHands insole foot warmers aren’t an electronic device. 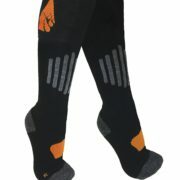 The are one-time use air activated heated insoles that will keep your feet warm for up to 9 hours. 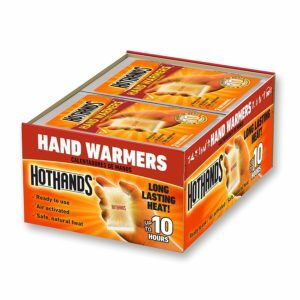 HotHands (Heatmax Inc.) sells different products: hands, feet and body warmers. These are time-tested products used by thousands that help keep your body heat up in cold weather. 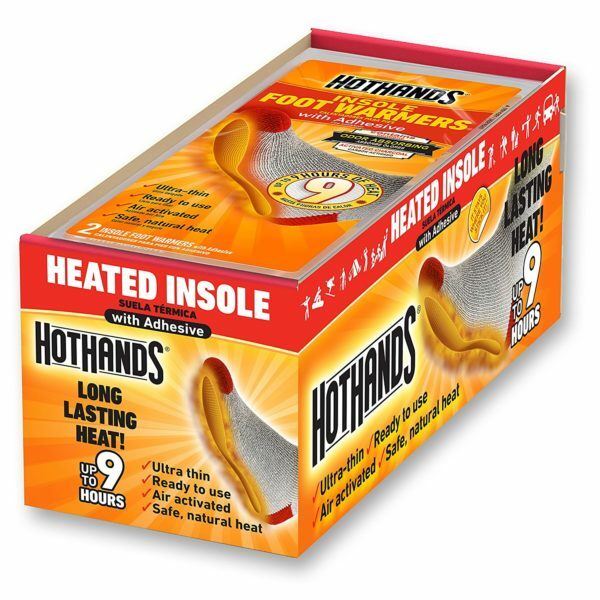 HotHands insole foot warmers have adhesive which keep them in place below your feet. They are thin and comfortable, and besides feeling the heat you probably won’t even notice them. 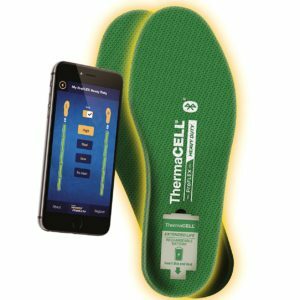 These heated insoles are activated on contact with air, and will work continuously for up to nine hours. Simply peeling away the packaging is enough to make them work. The product is perfectly safe to use, odorless, and made from natural materials. For any outdoor events, sports, hobbies or even work, heated insoles can keep you warm. This package includes 16 pairs of feet warmers. 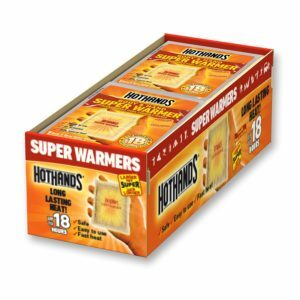 I couldn’t live through the winter without these. I work outside a lot in the winter (VA); I put a pair in before I go out and sometimes replace them with a fresh pair at lunch. Don’t know what I’d do without them. I’ve used the toe-only type, but these are much warmer and comfortable for standing on all day. Work incredibly well! I have poor circulation in my hands and feet so my extremities get very cold very easily. I tried more expensive heated insoles that didn’t last even two hours and didn’t heat that well. The HotHands Foot Warmers lasted a very long time and got extremely warm. Actually, a few times, I had to take pressure off of my feet just to cool off my feet for a few moments. Considering all of the options out there, I believe these deliver the best bang for the buck! I actually use these year round. I have a painful medical condtion that leaves my feet freezing cold. Heat is something I need all day. At home I use a heating pad or heating blanket. If I need to leave the house I use these. There would be a dramatic difference in my pain levels if I did not have these. They are pricey but I don’t think I would leave the house at all without them. They are excellent. These are great for the soles of my feet but don’t do anything for my toes. They last for hours and the heat is just right. Wear with thicker socks. They are allowed through airport security but it is a good idea to take them out of the suitcase and put them in the bin. I had to have my bag hand searched and wiped for bomb residue. I have Raynaud’s syndrome and my extremities get extremely cold to the point that my feet start to cramp up and actually make it impossible to drive. These are a life saver. They keep my feet warm for more than 9 hrs. I do wish they came in a larger size as I have big feet, but in spite of the small size they still warm my feet. I highly recommend them to anyone with poor circulation or just cold feet. I would like these to be a bit wider & longer. I’m a shoe size 8 in medium width & felt these were a bit small. Having said that, these do keep your toes warm though. I place them all the way to the front of my shoe, even though it leaves my heel uncovered. Unfortunately they do not last for more than about 4hrs. I purchased an entire box and have found this to be the case with every insole pair I’ve used. The ad does say “up to……” That’s still 4hrs of warmth. A bit expensive though. I will still buy them again. If you have to be out in below freezing temperature, any little bit helps. I have tried these and other foot warmers and am always disappointed. This particular brand warmers are so small that they don’t even cover the bottom of my feet, and I wear a 6 1/2 shoe! They get a little warm but do very little in cold weather if you are not moving around. I bought these to wear at football games outside. If the weather is really cold, you can’t tell that they are doing anything. Hand warmers seem to work much better. It would be a good idea to have something like this that covers the toes. I can’t believe that there is nothing on the market that works. While I wish I could find a non-disposable product that does what these footwarmers do, I can’t, so I’m stuck with buying a box of them every winter. They keep my feet warm through six hours of barn chores on Sundays. A couple of tips: I open the package and let them “breathe” for 15 minutes before putting them on. Also, I don’t stick them to the bottom of my foot, but instead I put them adhesive side down inside of my boot. This keeps them from sliding and bunching. I am a women’s size 6/kids size 4 shoe, and these very nearly cover my entire foot. I absolutely LOVE these and stock up on them every year. My feet freeze when I ski, and these prevent them from ever getting cold. The toe warmers they sell at all the ski resorts DO NOT do the trick. Those are bulky and sit in the toe and don’t get your whole foot warm. These are like shoe liners and heat up INSTANTLY. I have skied in minus 10 degrees with these, and my feet stay pretty toasty. I highly recommend them. I bring them with me as nobody seems to sell these out in the real world at ski resorts. Not sure why because they seriously rock. I get cold hands and feet, and I like to golf in the cold, go figure! These work great, and are super thin, to the point where I don’t even feel them in my shoes. Feel is important in golf, and keeping my feet warm, and not having them effect my balance is a big deal. Feels like my whole body is kept warm when my feet are warm. These also heat up much faster than the hand warmers, I’m sure due to more surface area. They last at least 5 hours, perfect if there’s a long round. We prepared for a cold-day football game. It was about 45F and start raining!! One box covered group of people. I used each one pair in my shoes and instantly made my feet warm! My husband and others, who sat in rain entire of the game, put 2 pads each in their shoes. Everyone loved it! After walked indoor, I felt too hot so I took them out. Recommend with thick socks. With thin socks, you might feel too hot like I did. I tried a pair in my flyfishing waders. They do not work as there is not enough air flow to activate them . When I took them out at the end of the day they started to heat uo. I tred opening them a hour before I put them in my waders, thay heated up then went cold in my waders then heated up again when I took them out. The marketing information leads the customer to believe that they will work anywhere buy they do not wot=rk in waders. They do not work and I now have 14 pairs of useless product. 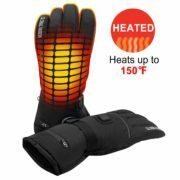 I will never go on a ski trip without hothand warmers for hands and feet. When we went skiing we were hit with Siberian weather and we were only in Maryland. These things saved my hands and feet and those of my 4 sons. I highly recommend them for your next family trip. I volunteer every winter to put together care packages for our deployed soldiers. We do this from in a very cold storage unit where our hands and feet freeze. I found by putting these foot warmers in my Uggs I can stay warm 6 hours or more. These are the best things going! Not so effective in some shoes so pick a warm shoe to begin with. I’ve tried several brands of foot warmers. This is the only brand that gets warm and STAYS WARM. Make sure you follow the directions (Do not place them between layers of socks…) and they will keep your feet warm for hours! I work outside as a security officer and I tried the toe warmers and they only last about two hours and to me the toes get cold faster but your foot as a whole is cold also. These last about five hours even in low temperatures such as 10 degrees you will still feel the heat. They work very well even without boots on. Love them, wish they were a bit more adhesive. Stayed warm for about 4 hours, and I was able to cram them into my snowboard boots. Gift for my son and family for a Colorado skiiing trip. They are from Florida so without these, their trip would have been pretty miserable. They loved them! Please be advised these are EXTREMELY SLIPPERY when you take your boots or shoes off. You should be advised to remove them immediately. I took one step down a flight of carpeted stairs and went flying when they were affixed to the bottom of my socks. Ended up with a broken shoulder and a very bruised right side. I am still out of work because of it 8 weeks later. I wish the warnings had been more clear on the packaging or the design provided more traction. Be careful! Toasty Toes, all day, and more. Use em or los em because after a couple of years the don’t last half as long. Check the expiration dates. New product lasts a long time. Great product. These have helped me get through the winter biking season. Just note that everything ends up in a land fill. Plastic, plastic, and more plastic. These work perfectly. My insoles warmed nicely and helped my toes stay warm during ice skating this year. Universal fit. Gets pretty hot. The warmer is flat and adhesive adheres well and keeps the warmer from bunching. For me the heat irritated my instep. That surprised me that my instep was that sensitive to the heat. If the heating material was left out of that area it would have been perfect for me. Thicker socks would correct this problem but I purchased them to keep my feet warm at work and thick socks wouldnt be appropriate. Except for the sole issue this is a great product. Very helpful sitting in the woods hunting. They would be a 5.5 if they could get them to last the complete day. 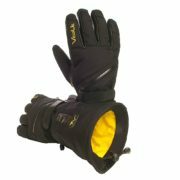 Used them for skiing, the first time it was very very cold so I put a new pair on at lunch and was fine. The other times I used them one pair last the whole day. I’ll continue to buy. These bad boys keep feet warm while hunting in Northern Idaho winters so two thumbs up for sure! These are a lifesaver. Winters in the midwest are cold and these get me through the walks to school and work. I buy them every year because I hate having cold toes. These are the absolute best and I highly recommend them to everyone. Unlike their hand warmers (which work great), the feet warmers didn’t work nearly as well. If you are standing in one spot they barely work (needs a bit of air movement in the shoe to allow the chemicals to react). When you are walking they do add a bit of warmth to your feet. But they don’t last anywhere near as long as their hand warmers. If the weather is in the 30s or 40s, then these may help a bit. But if it’s colder and/or you don’t move much, they really don’t warm you up very much.